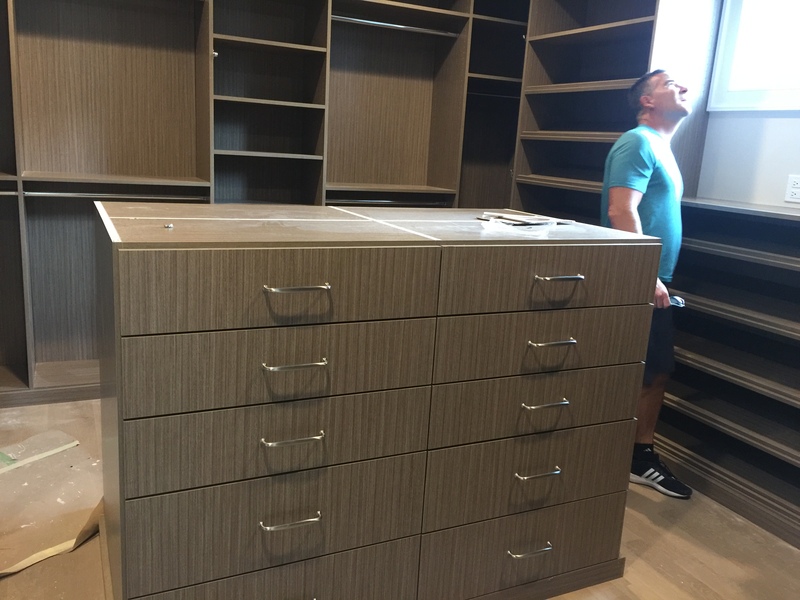 We outfitted this desk for our work-at-home client with flip-up cabinets, file drawers, pencil drawer and finished it in Karoo Ash. 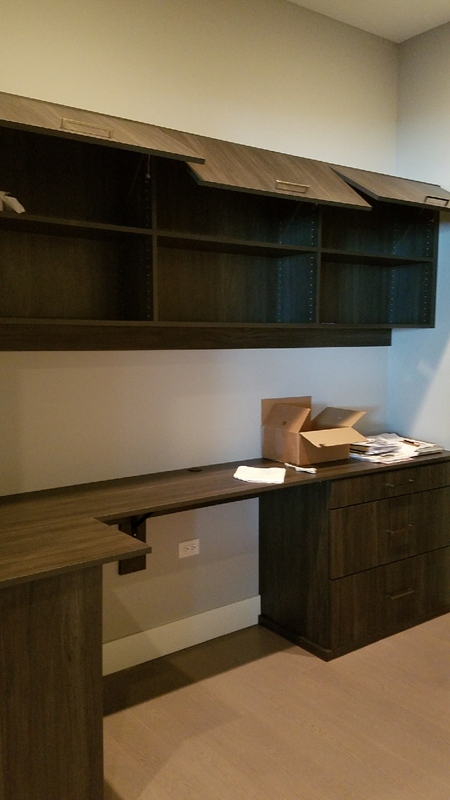 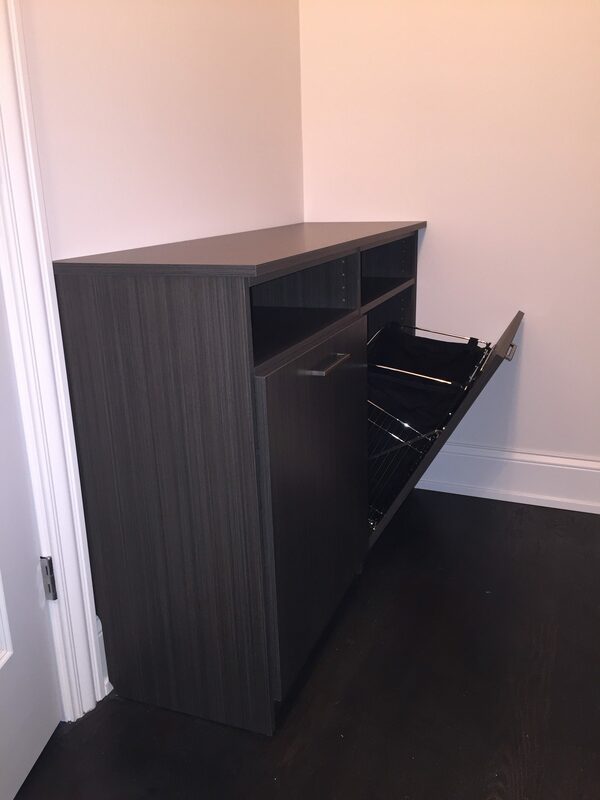 This slick corner desk sits perfectly in a nook of this condominiums floor plan. 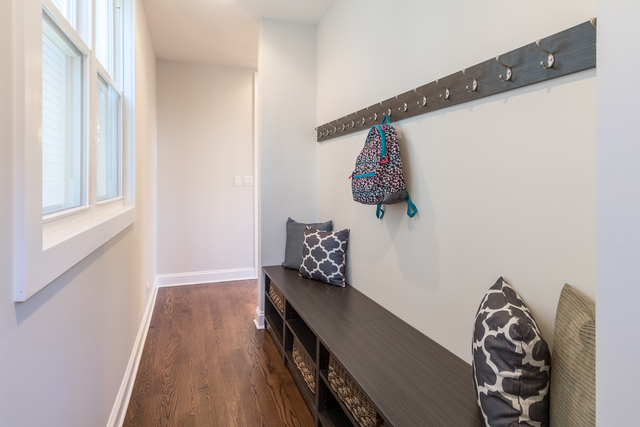 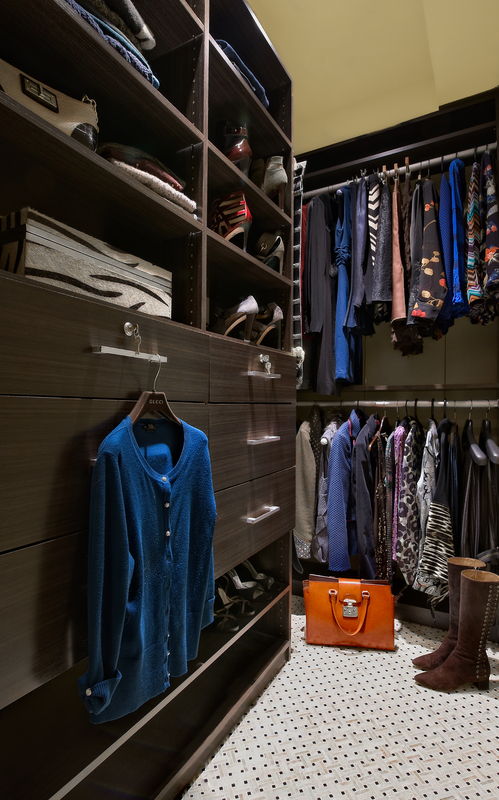 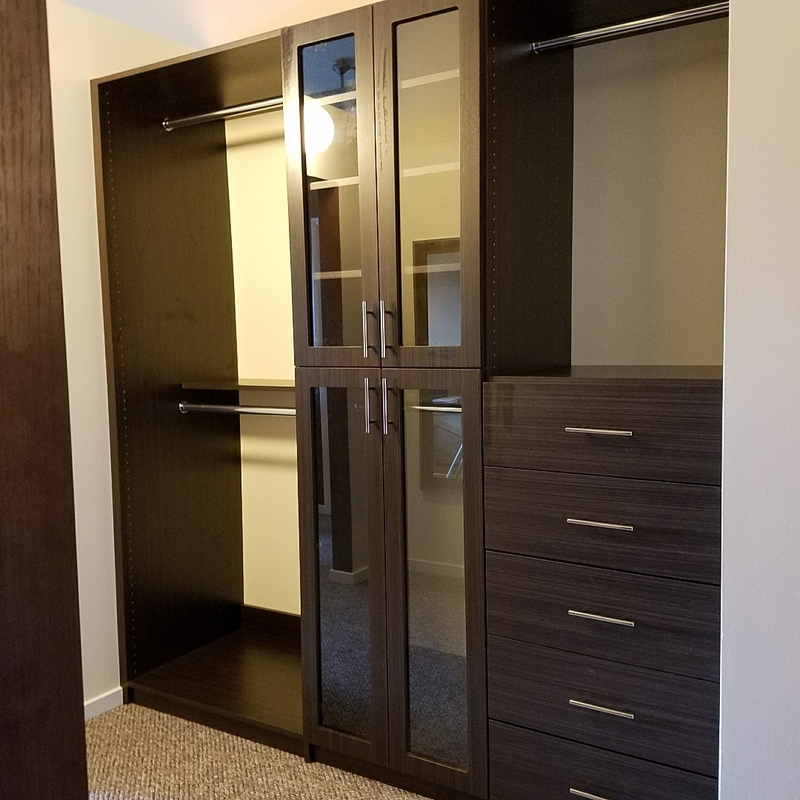 This hot West Loop loft features a pass through closet to bathroom in Dark Chocolate. 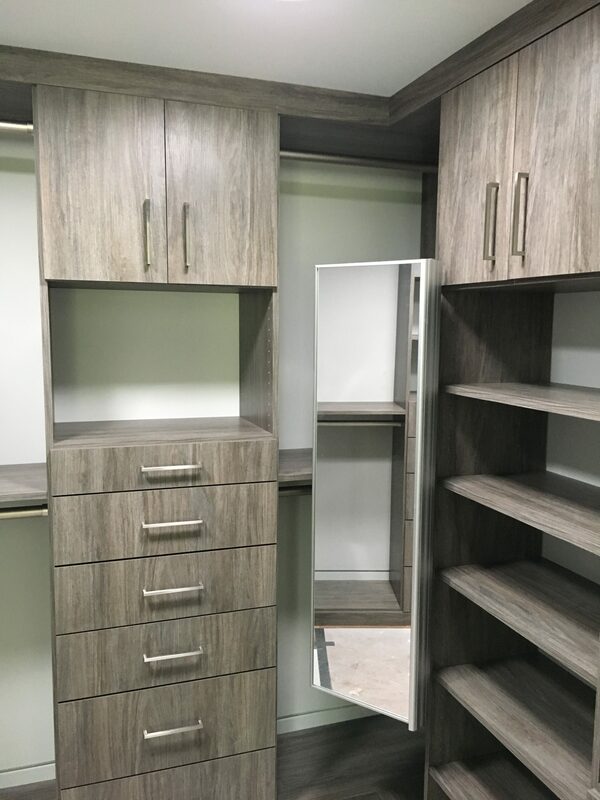 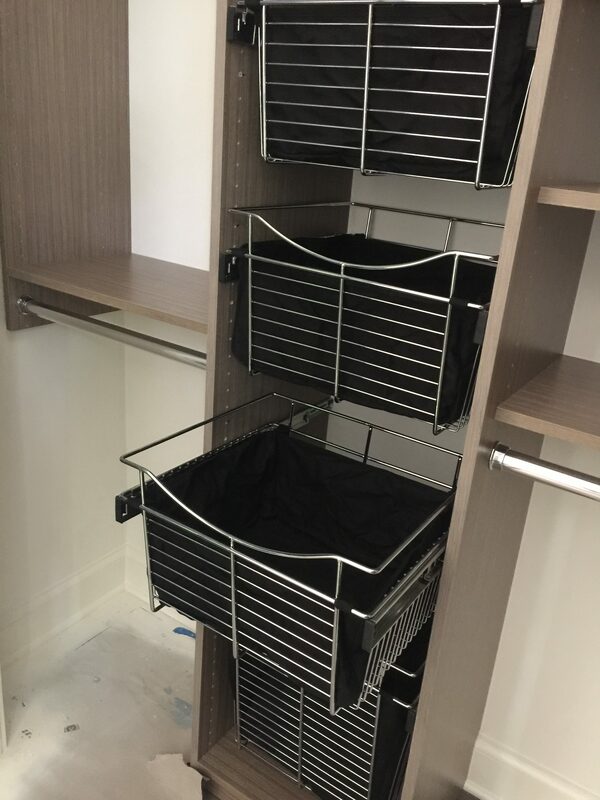 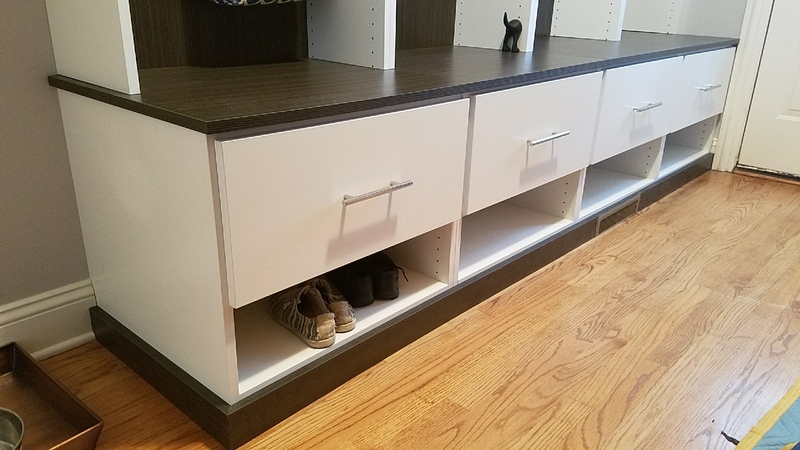 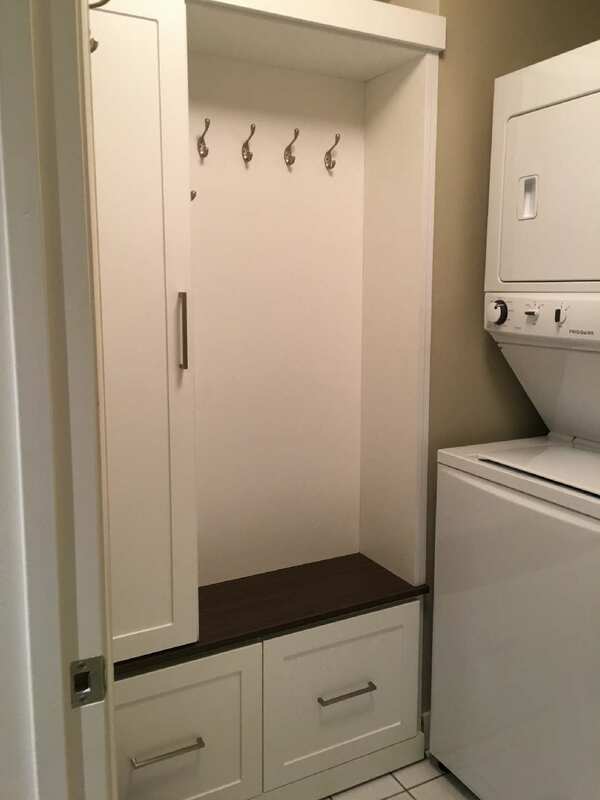 Features glass panel doors, drawers, lots of double hang, and display cubbies.